It was a strange day for Team LottoNL-Jumbo in the Algarve on Friday. 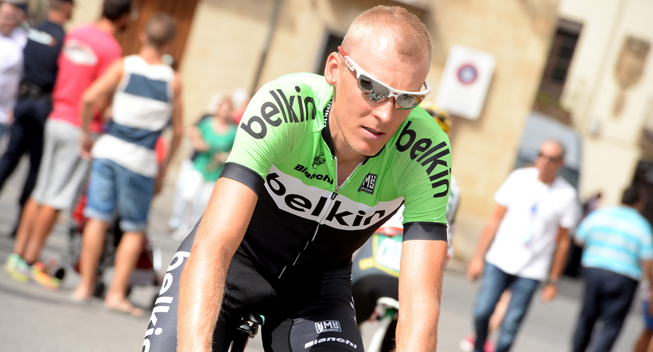 The team prepared for a good result with captain Robert Gesink in the 19-kilometre stage three time trial, but its leader took a plane to The Netherlands due to personal reasons before the official start. “Our man for the overall went home, the day turned out different than expected,” said Sports Director Nico Verhoeven. Sep Vanmarcke placed 38th, team LottoNL-Jumbo’s highest placed rider behind stage winner Tony Martin (Etixx-QuickStep). "It will be difficult to achieve a good result on Saturday after Gesink abandoning," said Verhoeven. The peloton starts the weekend with a 215-kilometre mountain stage from Tavira to Malhão.